Rings made from koa wood need meticulous care because, while they’re durable rings, they’re organic materials that can be impacted negatively by the environment. While some rings made from metals can be worn daily and beat with a stick, koa wood rings require special care. They can still be worn on a daily basis, but require a gentleness that others do not. This also depends on the other materials in the ring, too. For example, a solid koa ring will need a bit more care than a titanium ring with koa wood inlay. The inlay will often be protected by a coating that doesn’t exist in the totally wood ring. It was mentioned above that some wood rings shouldn’t be worn daily, but that isn’t entirely true. Leaving your ring to sit in a box on your dresser will cause it to dry and possibly crack. With gentle use on a daily basis, your koa wood ring will gain a beautiful patina that gives your ring character. Koa rings are durable hardwoods that have the same hardness as maple with a color and tone that is almost luminescent. You won’t want to leave your koa ring in a box when you can show it off to friends and family, anyway. 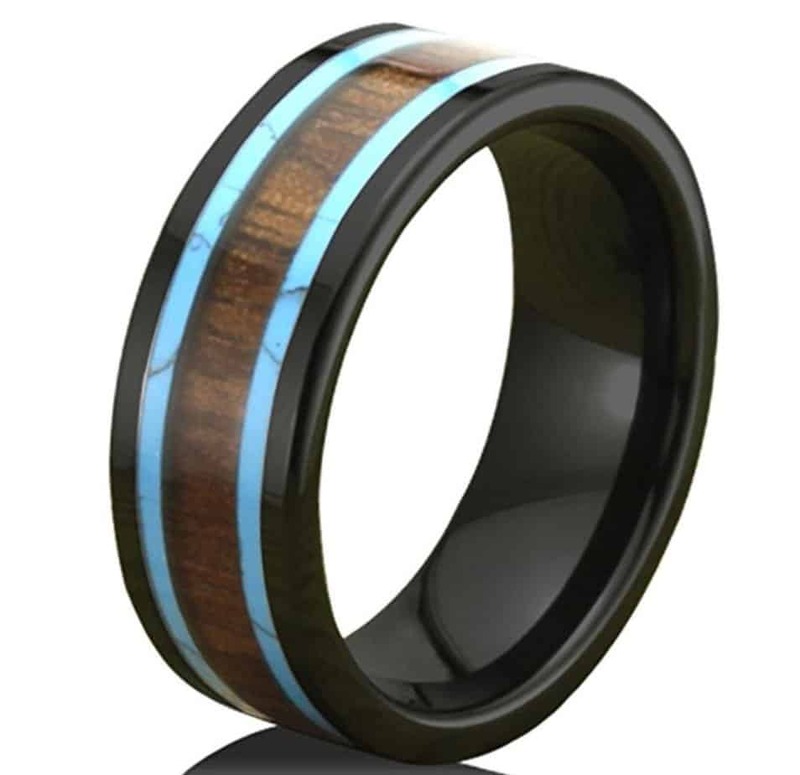 While wooden rings as a whole are not going to be as durable as a titanium or tungsten ring, they are not the soft woods you might imagine them to be. They won’t crack, dent or scratch at the slightest touch. At the same time, you should take care when wearing your koa ring on a daily basis. If you work with your hands on a construction site, it might make sense to wear gloves or remove the ring during particularly rough work. They do have an added bonus of providing a ring that won’t conduct electricity like metals would. 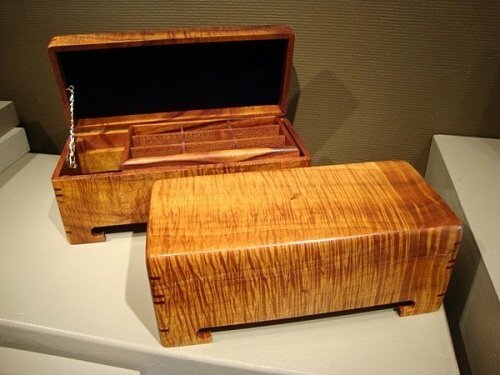 The koa wood is extremely durable compared to other woods and will last for years with the right care. When discussing the care for your koa ring, this is mostly regarding an all-wood ring that doesn’t have another protective element on it. Wooden koa rings are not completely waterproof. They may have a coating or wax to protect it, but it’s still an organic material that will soak up water when immersed for too long. You can take a quick shower while wearing it, but you shouldn’t submerge it into the bathtub or wear the ring while washing dishes. All wood rings should be kept away from harsh chemicals. When cleaning the kitchen or bathroom, remove the ring and keep it safe from harm. Abrasives or harsh chemicals can cause pits and burning of the wooden ring. When applying hand lotion, remove the ring as well. You also don’t want to leave chemicals or lotion that is damp between the ring and your skin. 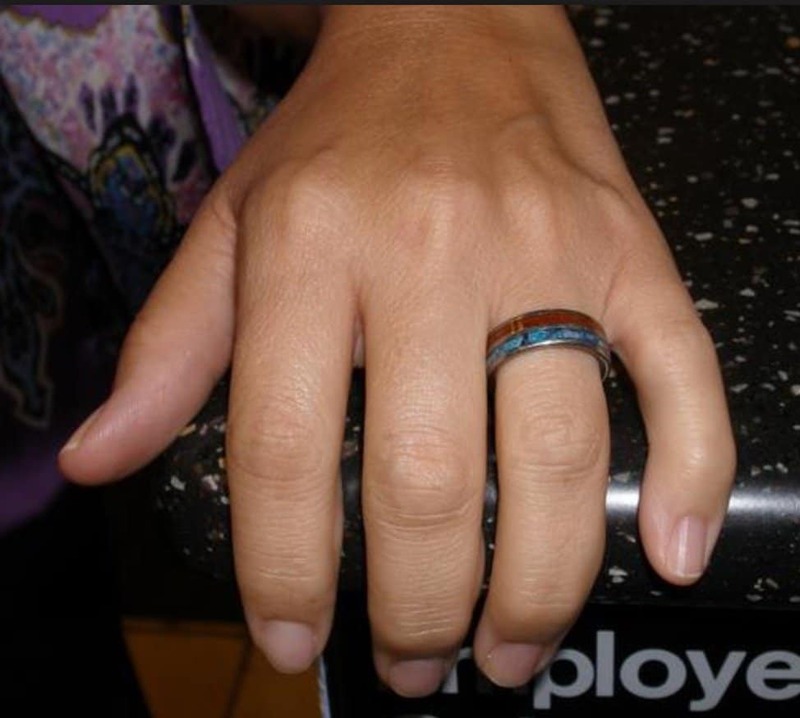 If you have a job that requires you to be outdoors in the blazing sunshine for hours at a time, you’ll want to think about how those rays will impact your wooden ring. Imagine how your teak furniture looks when it’s spent the summer outdoors. 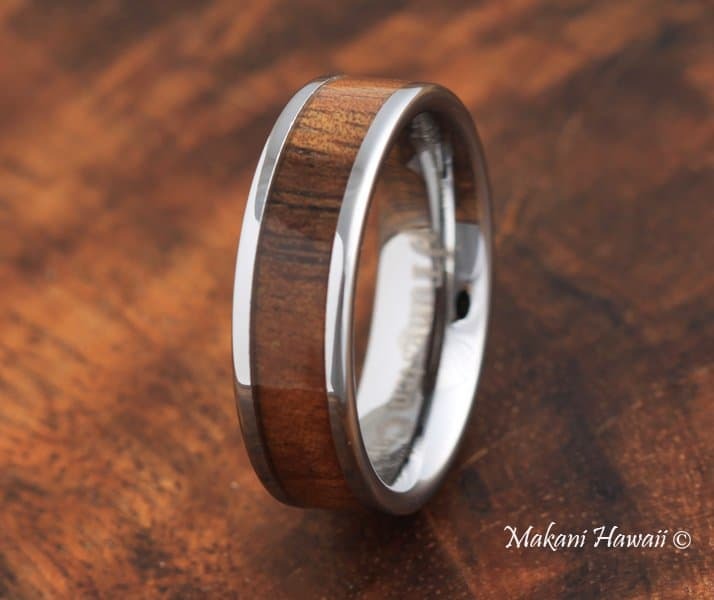 It becomes ashy and gray, which is what can happen to the rich color of your koa wood ring. It can be revived with a bit of polish, but it’s best not to allow that kind of sun damage to happen. It’s likely that your wooden koa ring was finished with a polish of linseed or tung oil with a bit of beeswax to give it a smooth finish. You can do the same when your wooden ring starts to feel rough or needs a bit of polish. Make sure the ring is clean and dry before you start polishing. Apply linseed oil to the ring and allow it to soak into the wood. This will provide a natural moisture that helps the wood stay supple. The beeswax will give it a smooth, protective coating. The oils from your hand will require that you polish your ring regularly to ensure it stays in peak condition. When it comes to other types of rings with an inlay of koa wood, you’ll need to take care of the jewelry based on the type of metal. The protective coating of the inlay might be an epoxy resin or other clear coating that doesn’t need to be polished like wood. Instead, you’ll polish with a cloth or use jewelry cleaner to make the metal shine. The coating on the wood will stay shiny without the polishing process. 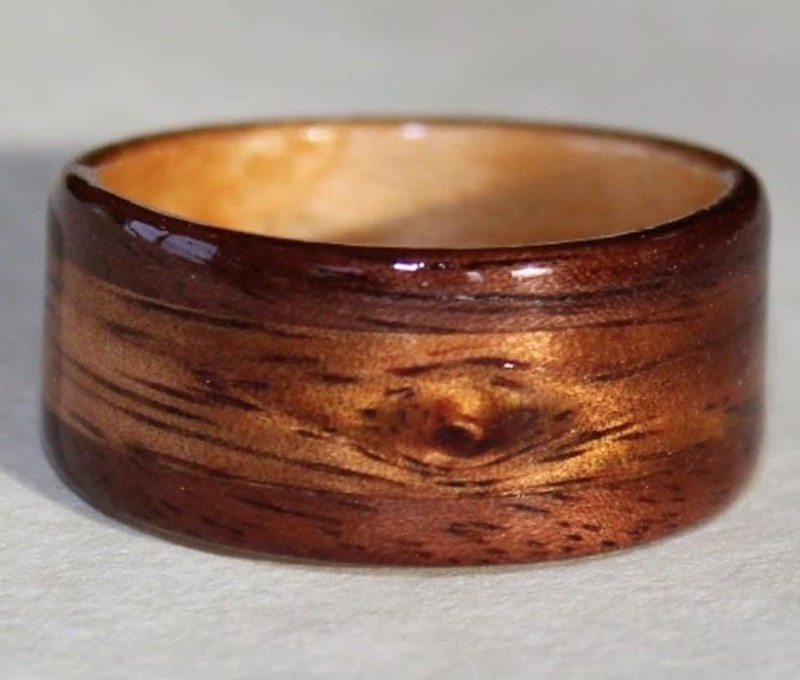 Buying a wooden koa ring is a beautiful choice that requires a bit more work than a metal ring. You’ll need to know how to care for it to make sure it lasts for the rest of your lifetime and beyond. It’s the kind of ring you’ll want to pass down to the next generation, and it needs special care to make that happen.